Swift is Apple’s programming language that has become so popular among the iOS community. Apple announced the release of the Swift programming language 4 years ago. It was one of the many experiments done for replacing the next era of Objective-C language. Since then, there are plenty of Apple Swift tutorials that have been released on the Internet by programmers. 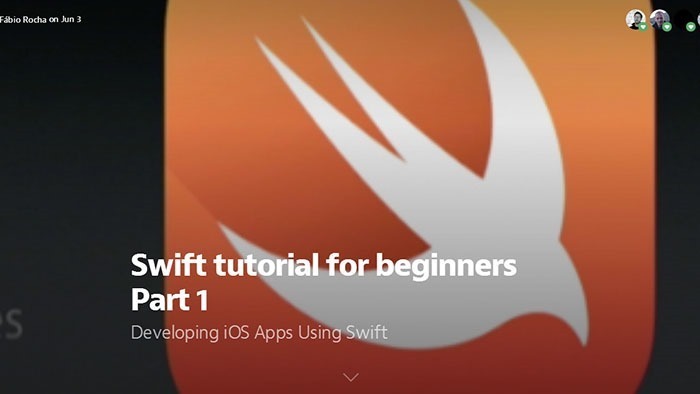 Although many of them are free, the problem with these tutorials is that most of them are not very good, especially the ones developed during the early stages of Swift. However, you don’t need to worry because we have collected the best on Swift tutorials. You will surely find something worth learning from these tutorials. In this tutorial, you will learn some simple aspects of the new way of coding iOS. This is a free e-book tutorial that was officially released by Apple. As Swift is a new programming language, it adapts safe programming patterns and adds all the modern features to make the programming easier and more flexible. This book is a detailed guide on all the features of the language. You can download it for free. If you know how it works, you will understand that Swift lives up to all three of these things. This tutorial will teach you the most important things that you need to know before running Swift. To learn this tutorial, you will need the latest version of the Xcode. There is no past experience regarding Swift or Objective-C required when learning this tutorial. However, if you have past programming experience, it will be surely helpful. This tutorial teaches you all the features of Swift by using code examples. This is a very useful tutorial for everyone who doesn’t have time but wants to learn the language. Although this tutorial is better for the intermediate-level users, it also gives all the basic things you need to remember. The tutorial is about building new apps by using the Swift language. Optional is a very powerful feature included in the Swift language. Optional helps you in saving a lot of time and makes the coding readable and efficient. This tutorial teaches you to easily solve the problems that can come while coding. The tutorial is free to download by anyone who wishes to learn Swift. Swift is the programming language for iOS and OS X development. It was created to level up with Objective-C. It is powerful, safe and based on modern techniques. This tutorial teaches you everything about Swift including the basics, control flow, and the important functions. This tutorial is very useful for all the people looking to learn the language. This is a quick tutorial that will show you how to get the Read-Eval-Print-Loop using Swift and Terminal. You can use the Swift syntax to evaluate and interact with your running app or write new code in a script-like environment. A custom keyboard is very helpful in replacing the system keyboard for the users who has capabilities such as the novel text input method. This tutorial shows you the basics of the keyboard extension and then makes a Morse code keyboard using the latest app extension API in iOS 8. Subscripts are the shortcuts for accessing the elements from a collection, sequence or the list. This tutorial is very helpful for learning how to make object subscription in Swift. There are two example types explained in the tutorial. This is a step-by-step tutorial that will teach you to make a simple table view by using iOS 8 and Swift. If you follow the tutorial closely, you will get a very beautiful table view. This is a short tutorial on how to make awesome user interface components in iOS 8 with Swift. This tutorial can be very helpful for everyone who is looking to learn something useful from this language. This is a more challenging tutorial for making the table view with iOS 8 and Swift. In this tutorial, you will learn to create custom cell types. This tutorial will show you the power of Swift and how to use it properly. Swift Cheat Sheet is a short guide for using the Apple’s new programming language. This guide aims to teach you all the key features of the Swift language including strings, arrays, dictionaries, and flow control. You can read this online or you can download the file as a PDF, EPUB, or MOBI.